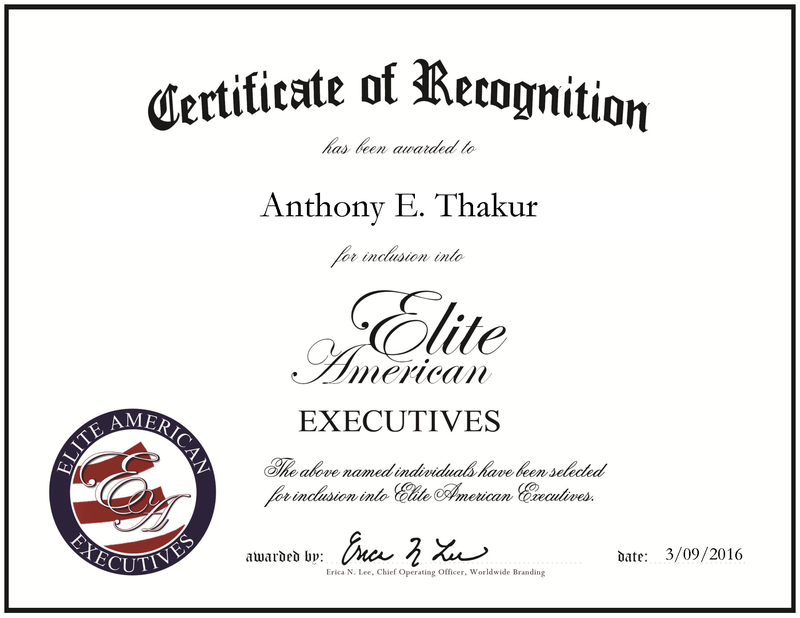 Castle Rock, CO, March 9, 2016, Anthony Thakur, Chief Technology Officer at Global Capacity, has been recognized by Elite American Executives, for dedication, achievement and leadership in telecommunications. Mr. Thakur’s achievements stem from his childhood fascination in telephone technology and civil engineering. With now more than 30 years of experience in the telecommunications field, he satiates this curiosity as the Chief Technology Officer at Global Capacity. Responsible for such tasks as running staff meetings, reviewing projects, making deals with vendors and handling complex technical teams on large projects, Mr. Thakur’s knowledge and discipline aid him well in his current role. Not only does his position require managing the business, but calls upon his skills in engineering, where he builds and operates complex telephony networking including, IP, Ethernet, VOIP and optical networks. After graduating from the University of Texas at Arlington in 1987 with a Bachelor of Science in electrical engineering, Mr. Thakur earned a Master of Science in engineering management from the Florida Institute of Technology in 1993. His versatile knowledge of engineering has given him the upper hand in working for a company such as Global Capacity. He shares the company’s vision in providing the highest quality services in comprehensive connectivity, cloud and continuity solutions, and owning and operating an extensive network. As a member of the Institute of Electrical and Electronics Engineers, the MEF Forum and the Internet Engineering Task Force, Mr. Thakur ensures continued professional and industrial growth by staying connected and informed in the industry. This entry was posted in Telecommunications and tagged electronic, engineering, ethernet, technology, Telecommunications. Bookmark the permalink.